IWATA, November 6, 2018—Yamaha Motor Co., Ltd. (Tokyo:7272) announced today that it will exhibit the 3CT at the EICMA (Milan Motorcycle Show) in Milan, Italy, open to the public from November 8 to 11. Powered by a 300cm3 liquid-cooled engine, the 3CT is a new LMW1 commuter prototype model. 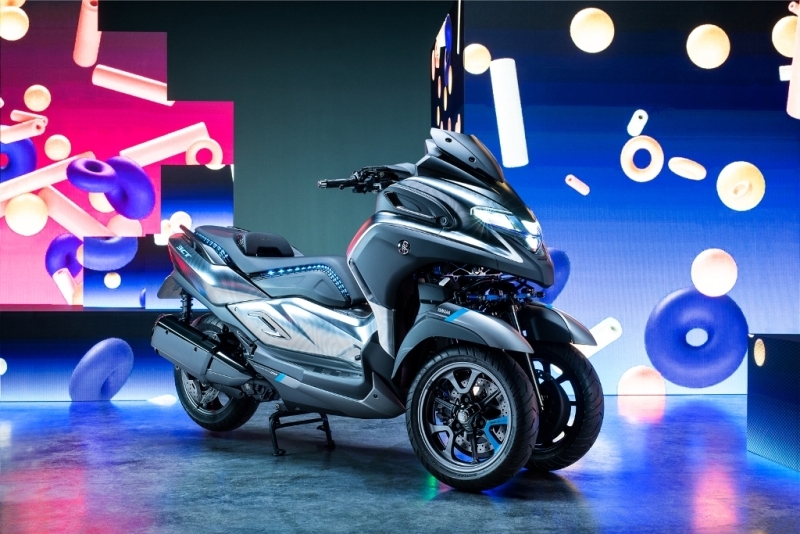 Yamaha Motor is promoting “the growing world of personal mobility” as one of the growth strategies outlined in the Medium-Term Management Plan, and LMW technology is one of the central pillars of this strategy. 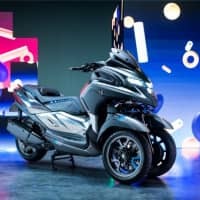 Beginning with the TRICITY125 (launched in 2014), and continuing with the TRICITY155 (on sale from 2017) capable of riding on freeways2 and the NIKEN (launched in 2018), which with its 845cm3 engine is the first large sports model LMW, Yamaha has expanded its LMW product lineup. The 3CT is a sports commuter prototype model with the distinctive LMW two front wheel mechanism. By combining LMW features such as a superb sense of stability while turning with a 300cm3 engine, the 3CT delivers both sporty and comfortable weekday commuting as well as enjoyable weekend recreational riding. As well as the 3CT, the Yamaha booth at the EICMA exhibition will also display the Ténéré700 adventure model, which features a parallel-twin 689cm3 engine mounted in a lightweight double-cradle frame, and the NIKEN GT, which includes a rich array of features for comfortable long-distance cruising, such as pannier bags and heated hand grips. 1: LMW=Leaning Multi-Wheel A general term for a vehicle with three or more wheels which can lean (incline) like a motorcycle; registered trademark No. 5646157. 2: Motorcycles of 125cc and above are permitted to travel on freeways in Japan.